The White House and news outlets are abuzz over a comment Israeli Prime Minister Benjamin (Bibi) Netanyahu made in the closing days of his political campaign. The day before the election, he told the Israeli news outlet, Maariv, in Hebrew: "I think that anyone who moves to establish a Palestinian state today, and evacuate areas, is giving radical Islam an area from which to attack the State of Israel," Netanyahu said. "This is the true reality that has been created in past years. Those that ignore it are burying their heads in the sand." Asked directly whether no Palestinian state would be created under his leadership, the prime minister answered: "Indeed." The conditions for that, today, are not achievable for a simple reason: [Mahmoud Abbas] the leader of the Palestinians rejects consistently the acceptance of Israel as a Jewish state; he's made a pact with the Palestinian terrorist organization Hamas that calls for our destruction; and the conditions is the Middle East have changed to the point where any territory we withdraw from is immediately taken up by Iranian-backed terrorists, or by ISIS… so the conditions are that if we would vacate territory, instead of getting a two-state solution we could end up with a no-state solution—that is a solution that would threaten the very survival of the State of Israel. If we receive a guarantee for security arrangements needed for Israel and if the Palestinians recognize Israel as the home of the Jewish people, we will be willing in a future peace deal to reach a solution of a demilitarized Palestinian state side by side with the Jewish state. Of course, when the prime minister issued that statement, the perpetual powder keg of the Middle East was afloat in calmer waters. 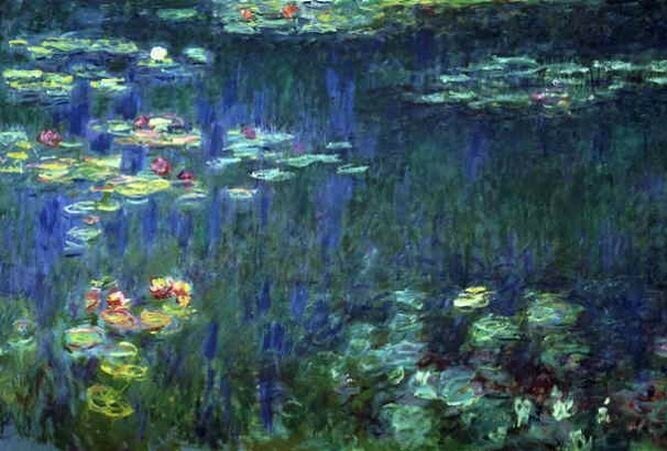 To put it in comparative artistic terms, if in 2009 the region resembled Claude Monet's "Water Lilies," today's reality evokes Edvard Munch's "The Scream." Netanyahu's election eve statement in Maariv reflected his understanding that the polls were tight and he was trailing. At worst, it was last minute political pandering, an attempt to rally the vote on the right. Those who have slammed him falsely for backtracking on his previous commitment are not only lifting his words out of context, but are acting surprised that a politician played politics with a campaign issue in the last day of a political campaign. Cue the tape of Captain Renault telling Rick (Humphrey Bogart) in Casablanca, "I'm shocked… shocked to find that gambling is going on in there," as he picks up his winnings. The prime minister stated what should be obvious. For those blaming the death of the peace process on the Israeli election results, rest assured that there would be no Palestinian state if Bibi's chief political opponent, Isaac Herzog of Zionist Union, had won in a landslide instead. That is because the Palestinian leadership can't take yes for an answer and Mahmoud Abbas is politically incapable of making the concessions necessary for peace and a two state solution—even if that was something he desired. In each case a proposal on all the core issues was made to Palestinian leaders and the answer was either "no" or no response. They determined that the cost of saying "yes," or even of making a counteroffer that required concessions, was too high. To be sure, since the dawn of Barak Obama's presidency, the White House has fumbled through attempt after attempt to reinvigorate the peace process with a knack for timing that stands as an affront to clocks the world over. Moreover, he also used methods that guaranteed its failure in advance. In a policy sense, my view is that the "original sin" was Obama's decision in his first days in office to do precisely that which Republican Sen. Tom Cotton so provocatively warned the Iranians the next President could do with an Iran nuclear accord not endorsed by Congress—namely, rip up a "non-binding" presidential agreement. In this case, Obama annulled an agreement between George W. Bush and then-Israeli prime minister Ariel Sharon over West Bank settlement building. Instead, the President demanded a total Israeli settlement freeze, even extending to disputed neighborhoods of Israel's capital city, an idea that Israelis across the political spectrum rejected. It was a non-starter from which Israeli-Palestinian diplomacy never fully recovered. At issue were the exchange of letters and understandings reached in 2004. Written a year before Israel disengaged from Gaza, removing all Jewish communities, it recognized that that a final status agreement would not mean a full return to the 1949 armistice line or Green Line. Instead, a final agreement would take into account "new realities on the ground." This was not Bush's overall endorsement of Israeli settlement policy, but rather, it was to remove the issue of settlements from the U.S.-Israeli relationship. It did so by creating an understanding that certain Jewish communities across the green line would remain part of Israel in a final agreement and therefore, certain areas were acceptable to expand while others were not. Barack Obama swiftly tossed aside that American commitment, and twisted Netanyahu's arm until he agreed to an "unprecedented" 10-month freeze on building in settlements." Then-Secretary of State Hillary Clinton doubled down on the policy reversal. She said Obama "wants to see a stop to settlements—not some settlements, not outposts, not natural growth exceptions," and said the Americans "intend to press that point." Despite this concession, Abbas didn't show up to negotiate until the final month of the freeze and asked for another extension as a reward. Not only did this demand show Israel—and the international community—that U.S. commitments are easily retracted, it also proved harmful to the Palestinian side. A settlement freeze was never a Palestinian precondition for negotiations; Obama was demanding more for the Palestinians than the Palestinians were asking, while opening a huge rift with Israel. In an interview with Newsweek in April 2011, Mahmoud Abbas explained: "It was Obama who suggested a full settlement freeze. I said O.K., I accept. We both went up the tree. After that, he came down with a ladder and he removed the ladder and said to me, jump." During Kerry's untimely peace efforts in 2014, Obama promised Mahmoud Abbas, "The occupation will end. You will get a Palestinian state. You will never have an administration as committed to that as this one." Even this failed to impress or move Abbas. Instead, the PLO leader signed 15 UN conventions and international treaties to pave the path for the PLO to gain statehood in the UN and membership in the International Criminal Court (ICC). It is part of the Palestine 194 plan to turn over the Palestinians' fate to the Court in order to avoid making any concessions for peace, while seeking to vilify, isolate, and prosecute Israel for war crimes. By definition, it is a plan to gain statehood without negotiating with Israel. So much for the peace process the White House is so doggedly pursuing. Today they are late to catch a ship that already set sail. For good measure, as the talks were proceeding, Abbas joined in a national unity government with the terrorist group, Hamas, which rules Gaza. Thus, Abbas could claim internationally that he represented all Palestinians—and that would come in handy after Hamas began the summer war with Israel by launching over a thousand missiles at Israel. Throughout these peace efforts, Obama rewarded Netanyahu with public insults from his staffers and by publicly questioning Netanyahu's dedication to the peace process. 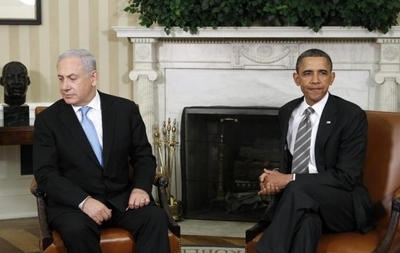 With regard to cynical Palestinian maneuvering, hardly a word came from the White House. Given this Palestinian ICC ploy; the inclusion in the Palestinian government of a terrorist organization that calls for Israel's destruction and death to all Jews; the loathsome results of Israel's complete withdrawal from Gaza in 2005 and Southern Lebanon in 2000; the region-wide rise of the Islamic State or ISIS; Iran's steady march toward nuclear weapons; Tehran's control of four Arab capitals and counting; the White House's tacit approval of Iran's hegemonic ambitions and if it gets its way, a nuclear deal with the Islamic Republic that guarantees it will be able build a nuclear weapon—there is a zero percent chance of Palestinians establishing a state next to Israel for the foreseeable future. For Benjamin Netanyahu and those who follow the Middle East, this appears obvious. For Team Obama, it is not. One must live in an alternative reality to conclude that now is an opportune time to push for Palestinian-Israeli peace. But that is precisely what the Obama administration appears to believe in the Salvador Dali-esque universe it inhabits. Apparently, facts are just pesky things that prevent the clocks from melting. After all, as Lee Smith, senior fellow at the Hudson Institute pointed out in 2014, "At a State Department reception celebrating the Muslim holiday Eid al-Adha, Kerry said Israel was responsible for the rise of the Islamic State." So perhaps anything is possible in Obamaland. In the closing weeks of the Israeli election campaign, "senior White House officials" were dispatched to leak President Obama's plan to push Netanyahu again in a fresh attempt at peace after the Israeli election. They decided to leak the story to Israel's influential, left of center, English and Hebrew newspaper, Haaretz. The Obama administration was well aware of how far Netanyahu and his team were willing to go for peace. A mysterious source leaked that information to the Israeli press as Election Day neared. That is what set Netanyahu on a political pivot to the right. He needed to re-capture the votes of those accusing him of conceding too much. This is why he felt his comments to Maariv were necessary—and safe given the current Middle East reality. It is therefore more than a little disingenuous for the White House to outright reject Netanyahu's post-election clarification. "Prime Minister Netanyahu was the prime minister three days ago as well," responded State Department Spokeswoman Jen Psaki to his Thursday assurances. "We believe he changed his position three days ago." Asked why the White House was not taking Netanyahu at his word, White House spokesman Josh Earnest retorted, "I guess the question is: Which one?" Earnest said the Obama administration took Netanyahu at his previous word—and understood that the prime minister does not envision a Palestinian state being established during his term in office. It is unheard of for a White House Press Secretary to publicly reject an ally's clarification based on the White House's misreading of what was said. It wasn't enough that the president's representatives already publicly questioned the prime minister's commitment to peace or suggested that the U.S. will fundamentally alter its foreign policy based on Netanyahu's remarks. Obama decided to pick up the phone and give those sentiments his personal touch. Obama let it rip, man-to-man, in a bitter 30-minute phone call in which he threatened to cut-off U.S. support for Israel at the UN. Obama also reiterated his demand that Netanyahu sack Ron Dermer, his ambassador to the U.S. who the White House holds responsible for hatching the Bibi-comes-to-Congress idea. The United States has actually been considering a reevaluation of ties with Israel, including its automatic support for the Jewish state at the United Nations Security Council, for at least four months, the Israeli sources also told Channel 2. Although the White House claims the reassessment was prompted by Netanyahu's remarks on Monday in which he rejected the establishment of a Palestinian state—and which he walked back Thursday—that is not the case, according to the officials. In truth, the reassessment of relations began before Barack Obama first took office. His apparent disdain for Netanyahu and the Likud party was evident in February 2008 when he weighed-in on domestic Israeli political matters. During the primaries, then-Senator Obama cautioned Cleveland Jewish leaders that to be "pro-Israel" does not mean being "pro-Likud." Jonathan S. Tobin, senior online editor and chief political blogger for COMMENTARY reflected in 2012: "The president's [first] four years in office cannot be fairly represented as anything but an exercise in distancing America from its sole democratic ally in the Middle East," Tobin explained, adding that "the investment in this strategy has provided no discernable gain for the United States." This new nadir in U.S.-Israeli relations may be a spat between two strong personalities in the form of Obama and Netanyahu. But the personal animosity the president is seizing upon reeks of sour grapes and has global consequences. It is harmful to U.S. interests and reflects poor policy and bad politics. It will not just punish Netanyahu; it punishes all Israelis and those who support the Jewish right to self-determination. Whether intended or not, Barack Obama is sending a stark message to America's friends and foes alike. For U.S. allies, this will be interpreted as an innate American propensity to turn on a friend for personal reasons—that his personal distaste easily overrides common interests. It also demonstrates a cavalier ability to tank a bilateral relationship that has existed for decades, all because of what amounts to a kindergarten hair pulling during recess. America's enemies are delighted to see this public rift. For them, the clear message is that rogue behavior is not just tolerable, but acceptable and preferred, lest they are unlucky enough to be treated as a friend. Israelis have grown accustomed to hearing that when it comes to their rivals they need to act like the adult in the room, even when they are under military attack. It's the common double standard that only applies to Israel, as it would offend Western sensibilities if it played by the rules dictated by the region in which it lives. In turn, Israel always holds itself to demonstrably higher standards. But they shouldn't have to suffer through a temper tantrum that comes from their senior American partner and best friend, who certainly ought to know better. At any point Barack Obama could have steered the ship toward calmer waters; instead he is going out of his way to pick needless personal fights. He could have welcomed Netanyahu to speak to Congress and then sold his own Iran deal on what he perceives are its merits. Instead, his emotional response backfired and turned Netanyahu's address into the Super Bowl of speeches. He didn't need to manufacture a tantrum about Bibi's two-state comment after the election; he could have called him and asked what he meant instead. Reasonable people can disagree about policy; but it is unreasonable to let personal ego hijack the ship of state and steer it toward a mutually destructive iceberg. Calmer heads must prevail.